Thinking about renovating or building? Here's a great partner to have in your corner. The brainchild of talented (and entrepreneurial!) interior designer Jess Coolican, The Draft Assembly builds dream teams for architecture, interiors and landscaping projects. In partnership with many of the best designers in the industry, the service is a mixture of experience, expertise and advocacy that guides clients to great project outcomes. From the very early early days of the concept, Alter worked worked with The Draft Assembly through the challenges of bringing this great idea to life. 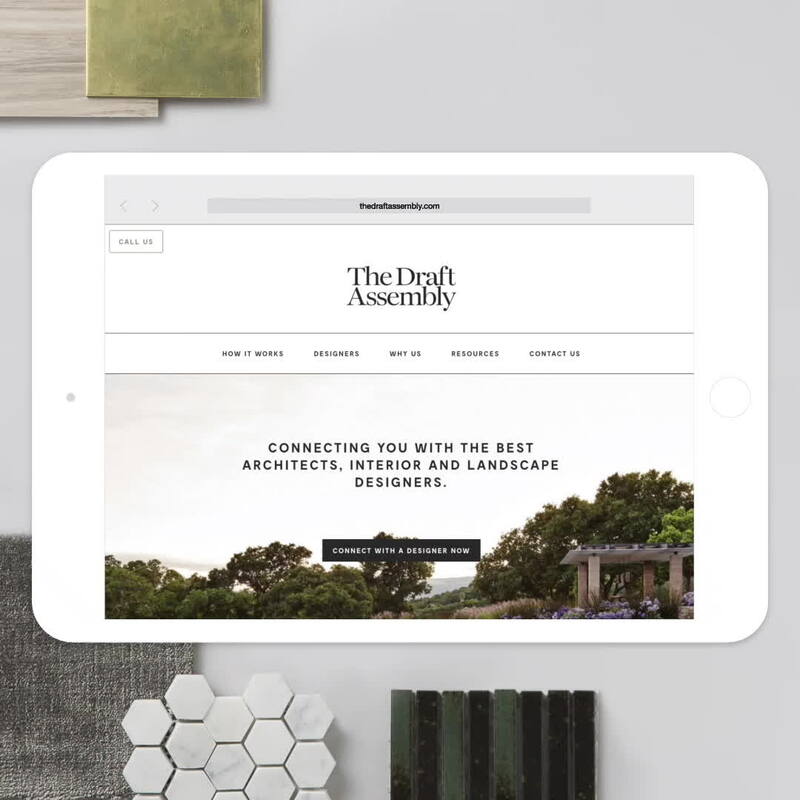 A large component of the development was the creation of an online portal for project management which would be shared between The Draft Assembly, designers and clients. This would become a project management hub where all parties convene regularly to track and discuss plans and progress. After creating the branding suite, we designed and built the website and created the online portal with workflows to encourage a seamless project process. We wish The Draft Assembly all the best and look forward to seeing some of their very exciting projects already underway!